Portfolio variance is a statistical value that assesses the degree of dispersion of the returns of a portfolio. It is an important concept in modern investment theory. Although the statistical measure by itself may not provide significant insights, we can calculate the standard deviationStandard DeviationFrom a statistics standpoint, the standard deviation of a data set is a measure of the magnitude of deviations between values of the observations contained of the portfolio using portfolio variance. 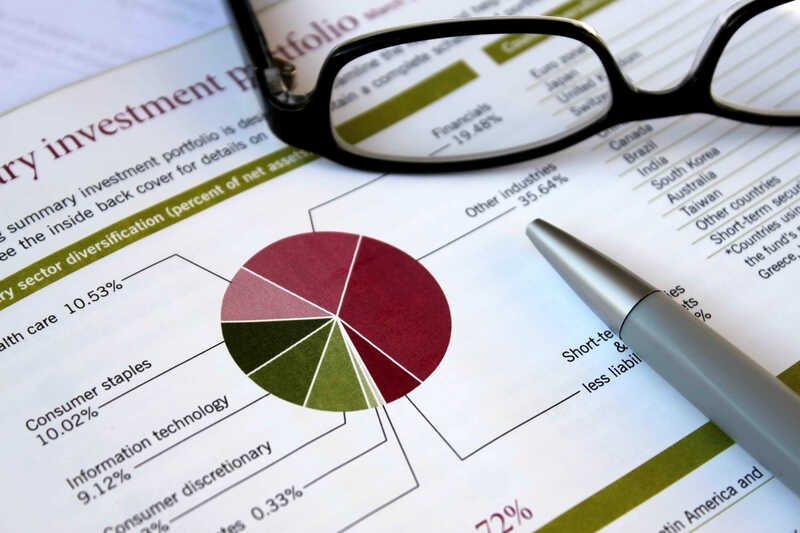 The calculation of portfolio variance considers not only the riskiness of individual assetsTypes of AssetsCommon types of assets include: current, non-current, physical, intangible, operating and non-operating. Correctly identifying and classifying the types of assets is critical to the survival of a company, specifically its solvency and risk. An asset is a resource controlled by a company which future economic benefit but also the correlation between each pair of assets in the portfolio. Thus, the statistical variance analyzes how assets within a portfolio tend to move together. The general rule of portfolio diversificationDiversificationDiversification is a technique of allocating portfolio or capital to a mix of different investments. The ultimate goal of the diversification is to reduce the volatility of the portfolio by offsetting the losses of one asset class by the gains of another asset class. 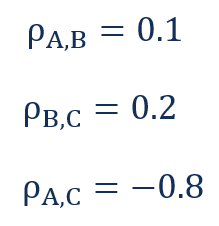 is the selection of assets with a low or negative correlation between each other. Note that for the calculation of the variance for a portfolio that consists of multiple assets, you should calculate the factor 2wiwjCovi.j (or 2wiwjρi,j,σiσj) for each possible pair of assets in the portfolio. Fred wants to assess the risk of the portfolio using portfolio variance and portfolio standard deviation. First, he needs to determine the weights of each stock in the portfolio. 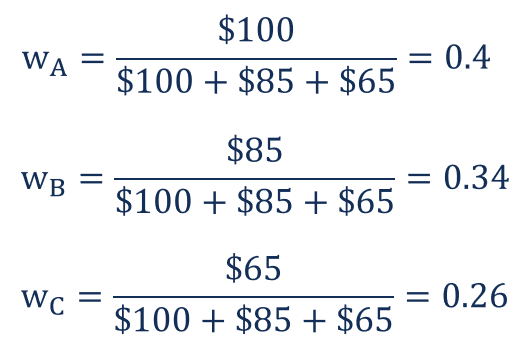 This can be done by dividing the total value of each stock by the total portfolio value. Regression AnalysisRegression AnalysisRegression analysis is a set of statistical methods used for the estimation of relationships between a dependent variable and one or more independent variables. It can be utilized to assess the strength of the relationship between variables and for modeling the future relationship between them.